The first time I made it I asked my mom if she remembered what mantecada tasted like and she swore up and down that she didn’t because she had never had it, something I knew was not true and that she simply had forgotten. It wasn’t until after she took her first bite that she automatically said “Oh yeah, I remember now!” And ended up having several pieces. Some people like to add aguardiente or rum to the cake batter but I prefer to make it without alcohol. You can also serve it with jam and coffee or hot chocolate, but I love serving it with a nice glass of milk. Cream the butter and sugar in a mixing bowl. Then add the eggs one at a time followed by the vanilla extract and aguardiente or rum. Now, add ½ the amount of the dry ingredients and mix until incorporated. Slowly add the milk until it's well blended. And finally, add the last amount of the dry ingredients. Make sure to scrape the sides of the bowl to make sure that all the flour gets mixed in the batter. Pour the batter into a prepared 9x13 inch (23x33 cm) baking pan and bake for 30-35 minutes or until a knife inserted in the center comes out clean. Hi there. 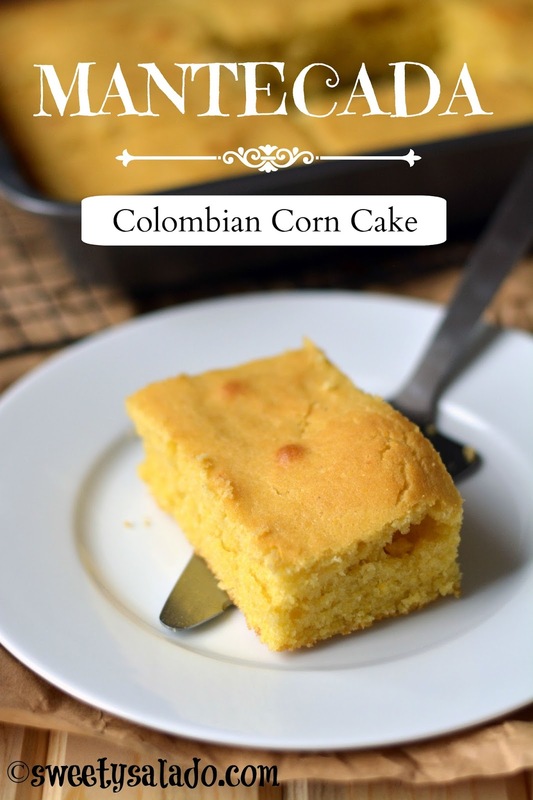 Can I ask you if this Colombian Corn Cake is moist or dry and how sweet it is. Please reply. Thank you. Hi there, because it's made with butter, just like a cake, it comes out pretty moist. And it is sweet, kind of like a yellow cake but with a slight corn flavor. Hello… Really enjoying watching your videos! 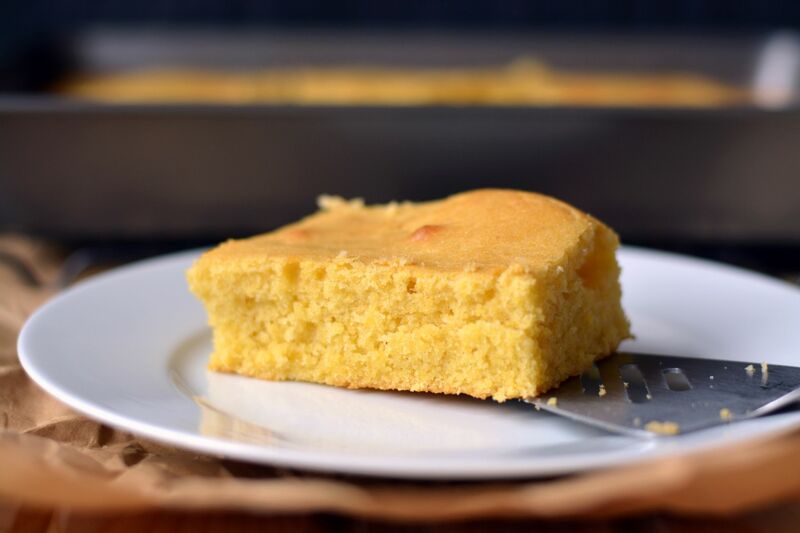 I notice that you are using regular cornmeal in this corn cake. I can't seem to find anything but the precooked cornmeal on the Colombian Exito website (looking around on there for when I go to Medellin :o) ). Is no precosida available there? Thanks so much!